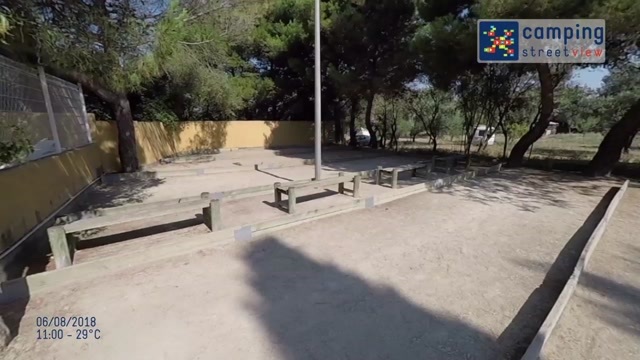 On a hill next to the lake of Thau, in a quiet residential area, near the motorway, only 2 km from the centre of the village and close to a large supermarket, the 4-star campsite “Le Mas du Padre” offers you 113 pitches in the shadow of its park with plenty of trees and bushes. With an english speaking management, an ideal spot for a calm and restful holiday, with the whole family. Maximum 5 adults - possibly a small caravan and a small tent. The manager was consistently rude, unhelpful, condescending and unapproachable, so her attitude to customers spoiled the whole experience. She either needs to undergo customer service training or find another job. Privacy and closeness to washing facilities. The shaded pitches. Child friendly pool. Relaxed feel of campsite. Tennis court. Recycling. Well kept and tidy campsite. Able to order bread and croissants each morning,. Swimming pool on site. Friendly staff. Reasonably flat pitch, well matured with hedging. Tout, la piscine, la propreté des sanitaires, le calme et le silence, les écureuils et le chant du coq, la végétation et l'odeur des pins; Les pizzas du vendredi soir. La gentillesse et la serviabilité de la gérante et de son personnel. La preuve: on y retourne l'an prochain pour la quatrième année consécutive! Un emplacement confort pour notre camping-car et un mobilhome pour nos amis.